Survival is receiving the most extreme change to playstyle of any of the hunter specs (possibly of any spec in the game). As such, it's hard to guess from the little preview we have what it will really end up like. I do want to talk about some of what I like and don't like from the battle.net blog, though. The paragraph I quoted above is fairly annoying, to me. It sounds much more like the description of a barbarian, and really falls short of a survivalist (not to mention the naivete of the writing). I should clarify that I'm not opposed to survival being a melee spec. I'm sad to lose my favorite of the current hunter specs, but it seems like there could be some really cool things going on with a melee fighter fulfilling the survivalist fantasy. There's a great YA fantasy series called Graceling, and in the first book the protagonist is a young lady who has a special gift for survival, in both the wilderness and melee combat. It makes for a really interesting skill set and a great book (if you can get past the fact that the author has archers "notch" their arrows, instead of "nocking" them). My point is, you can have an amazing melee fighter who isn't all about "merciless bloodshed" or "to maximize the brutality of the hunt". In fact, a lot of times Survival means knowing what's a hopeless fight and walking away! 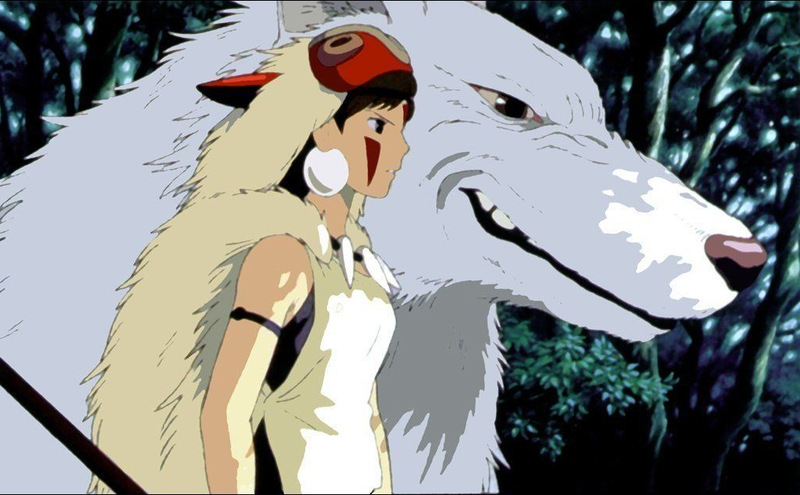 A couple months back, if I recall correctly, I wrote about Princess Mononoke as the ideal Survival Hunter, raised by wolves, a melee fighter with a spear fighting alongside her animal brethren. There is plenty of rage in her character, but it's certainly not the only thing that defines her. Based on the hunter preview's intro to the new survival spec, we'd have to assume that rage is their primary motivation for anything. Back in the Warlords of Draenor Beta, there was a time when Blizzard changed around how Lock and Load worked, so instead of getting 2 free Explosive Shots, you would get a charge of LnL (if i recall correctly, it had something to do with Black Arrow multistriking). The idea was that you would have to decide whether it was best to hit them immediately or pool them for burst. In the end, it didn't work out, and the change was reverted long before WoD went live. The problem was there were virtually no times when it would be better to save charges than use them immediately, due to a combination of the short CD on Explosive Shot and on not gaining charges from the normal CD of ES, just the LnL mechanic. Fast-forward to Legion, and it looks like they're trying the same thing, but without the problems that caused the WoD Beta version to fail. While we don't really have enough info yet to know how this will feel as a playstyle, I'm definitely intrigued. If they can settle on a version that really makes saving charges worthwhile, I think it will be a lot of fun to play. With the longer CD, there might be room for some interesting play with RPPM trinkets, which are normally too unpredictable to really affect your rotation. The 10 second recharge on Mongoose Bite can be a little bit misleading, because the new Survival Mastery, Hunting Companion, will be giving you more charges of Mongoose Bite than you'll actually get by just letting it recharge. To calculate the expected value of Hunting Companion, we just need to look at all of our pet's abilities. If pets remain similar to how they are now, we'll be looking at 1 attack every 2 seconds that is affected by haste, and an attack every 3 seconds (not affected by haste) and every 6 seconds (also not affected by haste). That works out to 1 Mongoose Bite charge every 5 seconds, if we have 20% mastery (and no haste). With 33% haste and 40% mastery (most likely unrealistic stats, but I'm just playing with things for now) we should expect to see an extra charge of MB on average every 2.14 seconds. Even with no haste and no mastery from gear (assuming we're still seeing a base of 8% mastery) we'll be nearly doubling the number of MB charges we get, with one on average every 12.5 seconds. The point is, this will be our primary source of Mongoose Bite charges. One of the more interesting parts of Mongoose Bite is the only Talent we've seen so far: Snake Hunter. 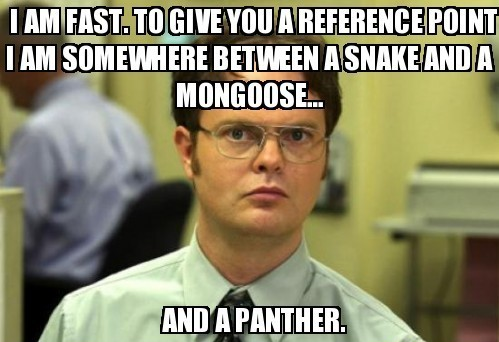 With Snake Hunter, we get 3 charges of Mongoose Bite on a minute CD. This should go a long way to making SV important, as it gives us a chance to do some on-demand burst damage to priority targets. The goal of Mongoose Bites in our rotation is going to be keeping up the full six stacks of Consecutive Mongoose Bites as long as possible, then waiting until we have full 3 charges again and repeating the process. At the beginning of the expansion, with lower mastery, we'll be looking at using MB at least once every 3 seconds (only using more if we have 3 stacks from good Hunting Companion RNG) for about 40 - 45 seconds, then not using it until you have a full 3 stacks again (which should actually line up pretty well with resetting the CD on Snake Hunter). As the expansion moves on, and our mastery increases, we'll eventually hit the point where we can keep up the full 6 stacks of 100% of the time (after the first 6 MBs). At that point, the real value in Snake Hunter will appear, and that will be that we can dump all of our MB charges in a row on a priority target, without fear of losing the full 6 stacks of Consecutive MB (BTW, we need a better term for "Consecutive Mongoose Bites"; I suppose CMB is good enough, but I hope someone comes up with something more clever). I'm not totally sure what the goal of this ability is. In raiding it will have virtually no impact, as 99% of the time you're attacking a target that is attacking the tank (especially now that SV is melee and won't have to deal with kiting adds). In PvP, perhaps this talent will still be usable while stun-locked? That is, if a rogue/warrior/dk/whatever have you stunned for 8 seconds or so and are trying to finish you off, your pet would be able to do that 50% extra damage. I'm not really sure if there is much there to work with, but perhaps. A big reveal from the battle.net blog is that Survival Hunters will now be the only hunters to have Traps. I'm not totally sure how I feel about this. As a playstyle, I like dropping traps when I'm kiting someone/thing. I think the trap launcher is kind of clunky, and doesn't make a lot of thematic sense. However, there's no reason for a melee fighter to use a trap. From the point of view of playing the spec, melee don't want to kite. And from the fantasy point of view, traps are something you set and then go hide, not something you drop at your feet while standing toe to toe with your enemy. I imagine the role of traps will be a complete 180 from what they currently are. Where as now we trap things so we can get away, in legion we will be trapping things to keep them from getting away. That does have some sort of sense to it, though it may take some getting used to. We've just got to call it what it is, Survival no longer has Focus, with no active regen, there's just no way to make this feel like the Focus of Cata/MoP/WoD. With Mongoose Bite not costing any Focus/Energy (currently), this shouldn't get too much in the way of having a high APM spec (especially once our mastery is high enough), but I just do not at all look forward to ever having to just sit there and wait because I don't have enough Energy. Because they are so drastically changing the Survival spec, I'd like to propose a whole new energy system. We could call it "Savagery" or "Wildness"; something along those lines. This could be a fairly high returning energy-type resource (last I saw, someone on @warcraftdevs said they were looking at a base regen rate of 10/second for hunter focus), which would recognize that this is inherently different from what we've known as focus, as SV will be the first hunter spec since Focus was introduced to have a signature ability that doesn't cost any Focus. I feel like focus also doesn't fit thematically with a melee hunter. Yes, focus is something every fighter needs, but when I think about Focus in the hunter sense, I'm thinking about aiming. In real life, instinctive archers talk about the key to aiming being focusing on your target. This, in my mind at least, is why ranged hunters make so much sense with Focus as their resource. Savagery, or Wildness, makes a lot more sense for a melee hunter's abilities, in my mind, at least. As I mentioned above, the last we heard the devs are looking at 10 focus regen per second. Since 12 seconds is the longest CD we'll be looking at, I'll use that as our base. In any given twelve seconds, in the best case scenario, we'll be wanting to cast Mongoose Bite at least once every 3 seconds. That leaves us 8 GCDs to fill in that 12 second window. We'll have one Lacertaion, bringing us down to 85 focus and 2 Flanking Strikes, bringing us to 45 focus. We'll then have 5 GCDs left, in which we can use only two raptor strikes. 3 GCDs where we get to do absolutely nothing. Just sit there. for 25% of our time. And really, we won't be seeing enough mastery/haste to get Mongoose Bite every 3 seconds until at least the second tier of the xpac. So you can assume at the beginning you'll just be sitting there doing nothing for a long time. I mentioned this in the Beast Mastery article, but I'm going to repeat it again. I don't think there is anything wrong with having specs that use downtime as part of the spec's rotation. There's nothing inherently wrong with it. I do not want to play a spec like that, though. It's a big reason why I play a Hunter. I desperately hope they fix this part of SV play. That might mean lowering focus costs, or giving us some talents that regen focus. But I vehemently don't want to play a spec with downtime. I'm a lot more excited about Survival than I thought I would be. I still mourn the loss of my favorite spec, but I see a lot of potential in this new spec and am very excited to learn to fight shoulder to shoulder with my pets, assuming they fix the focus issue. Of the three specs survival seems to be the most exiting one right now. Too bad it is melee. I am really looking forward to trying survival out, hope I get a beta invite again, because it is looking pretty good if for no other reason that mongoose bite being free cast. With no focus generator I feel BM will feel blah and with no pet I feel MM will feel like a group spec only. Right now, even if it is melee, survival seems like the best hunter spec. And you know being it is the "new hotness" blizzard will make it extremely over powered at launch, so it could be fun. All you hunters out there, roll offspec on a polearm that no one else needs when you raid, it will come in handy. Already have a 715 sitting in my bags and hoping to get an even better one before 7.0 comes around. But yeah, it's kind of sad that i'm most excited about a melee spec. 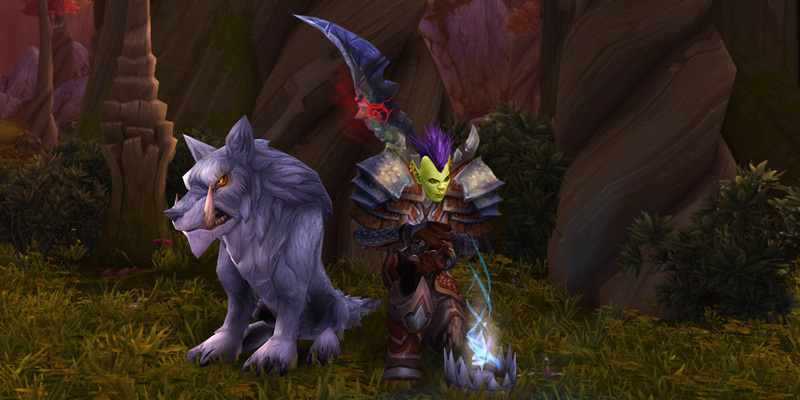 Though with a pet still, at least it still feels like a hunter (even if it isn't even remotely close to any of the hunter specs we used to know). I actually thought the LnL idea in the WoD beta was a neat idea, just poorly executed, so mongoose bite sounds like fun. I will not, however, be playing any spec that has upwards of 25% downtime. Without a focus building talent, the spec is unplayable until later tiers when you have significant mastery, from my viewpoint. I saw that too, but you never know what "free" one we could get. For all you know it will be a free 695 baleful piece, which is what I would expect to be honest. Congrats on the 721. I feel the same about the down time issue. It is why I am such a horrible rogue and joke about it all the time. I do not have the patience to wait for energy to build. I've tried to become a better rogue many times over the years and even start to do well but then get frustrated by the slow game play and give up. I want the rapid fire hunter were there is always something to do. If we assume we have 100 base focus, then 10 focus per second is a 10 second cycle for full focus. Similarly, each 1 second GCD lets us just subtract 10 focus from the cost of each ability - so lacerate becomes 25f, raptor strike 10f, flanking 10f. With mongoose 'generating' us a free 10f every time we use it, I don't think we'll have any downtime as survival. Especially if we're getting a lot of GCDs used on mongoose from mastery charges. if we opened with lacerate and flanking, we go from 100f to 75f (-25) to 65f (-10). Mongoose to 75f (+10), another mongoose would be 85f (+10). Three strikes and the last mongoose would bring flanking back up, which would be 75f (-10), 65f (-10), 55f (-10), mongoose to 65f (+10), flanking to 55f (-10), etc. You're certainly correct, as far as I can tell, that once we're getting a lot of mastery, and therefor mongoose charges (net 10 focus GCDs), the rotation should fill out. However, at the beginning of the xpac, I don't think that will be the case. In your example, you're starting with a full focus bar, and ending with net -45 focus, so if you repeat the process twice you'll be out of focus, right? I might not be understanding it completely. Assuming we have 10% mastery, we should see on average one mongoose bite charge every 10 secs from mastery plus one charge every 10 seconds from the normal return. For simplicity's sake, I've put a gain of 1 MB charge on every 5 and 10 second mark. So a section of our focus usage, starting at full, might look like this: http://i.imgur.com/wmHHlKE.png (I don't know how to paste spreadsheets in the comments section). That gives us 18 GCDs before we run out of mongoose bites, and focus for raptor strikes. At that point, we can't use any more mongoose bites until we're back up to three stacks (so we can take advantage of the CMB buff), so the next 12 seconds would look something like: http://i.imgur.com/9PL2zu5.png On that 30 second mark, we'll be sort of starting over, with 3 full charges of MB again (except with much, much less focus than we had before). So i'm saving focus for Laceration and Flanking to come off CD, when need be (in case that looked funny). Of course, the snake hunter talent will smooth that out some, especially at the beginning of the xpac, but because we need to spread out our MBs, until very high mastery levels, they won't be able to act as a fill-in for empty gcds when we don't have enough focus (like arcane shot will for marks).